I’m a dirty, no-good, cheating type of mixer. When it comes to getting a mix that slams, I leave my morals and lofty idealism at the door. If something (anything) needs to be done that I think will benefit the mix, I’ll do it. But it took me a while to get to this point. For eons, I thought that doing anything except using my ears to get a good mix was sacrilegious. After all, all the purists online said that it was, so wasn’t it? I’ve come to realize that it just doesn’t freaking matter. Sometime, a handful of years ago, I started checking out where my mixes sat using a spectrum analyzer. *Gasp! * I know, I know. But hear me out. I usually stick to the Waves PAZ analyzer. I’ve mentioned this in the past and I’ll mention it again: Waves has some really, really good plugins. But research all you can about their “update plan” before you spend any money with this company. I wouldn’t call their approach unethical…but…well…yeah, maybe I would. A spectrum analyzer is a ridiculously good learning tool. Many times during a mix (especially when you’re yet to have too many mixes under you belt), you can hear that something is not quite right, but you can’t pinpoint it. Using a spectrum analyzer can show you visually where some of your mix’s deficiencies lie. It won’t tell you everything, but it can certainly help. Seeing a visual representation of what you’re hearing can train your brain to recognize frequencies. 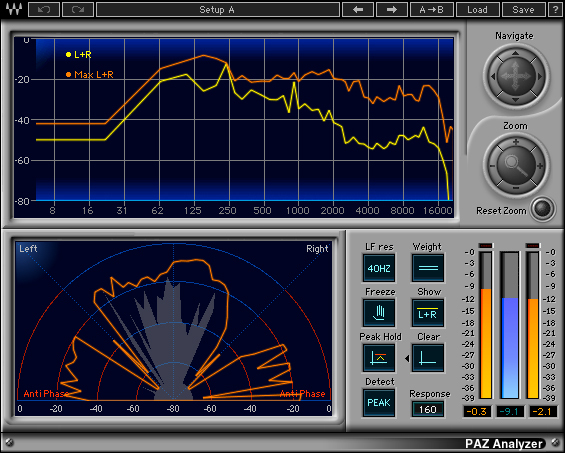 And using an analyzer with your reference mixes can show you what some of your favorite mixes are doing, frequency-wise. When I started pulling up an analyzer in my mixes, I discovered that a handful of my mixes were a touch light at either 250hz-ish or sometimes around 1K. I made the corrections and the mixes sounded better as a result. Better mixes equals happier clients and happier listeners. Wins all around. And now, when one of my mixes feels a bit hollow, I instantly think, “Ah, 1K…” and know right where to reach. No matter what any “experts”, purists, or gurus tell you: Using a spectrum analyzer to visually see where your mix sits is O.K. Hell, doing anything (legal, of course!) that will make your mix just a touch better is fine. We’re making music here and that little 4 minute rock song is going to stick around for a long, long time. May as well throw everything you’ve got at it!